Another publishing of the blue den from our Palm Beach Ocean View Apartment project, this time on the hugely popular custom home decor and photo website, Shutterfly. 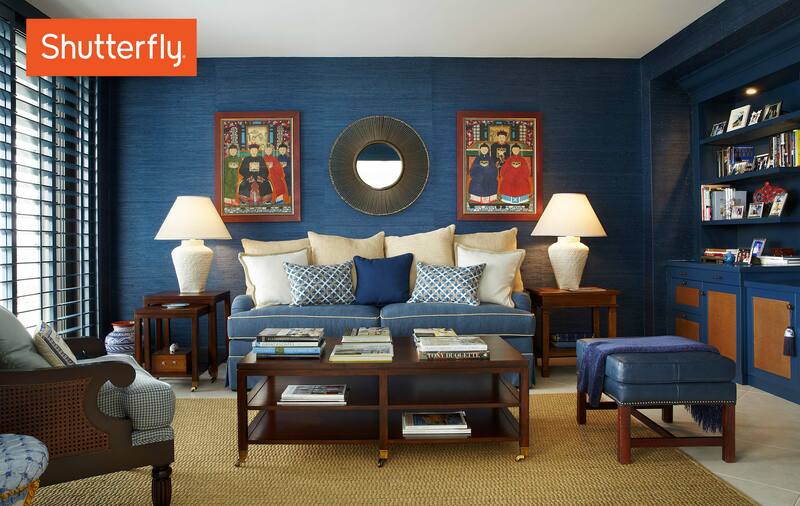 Of course, the beautiful blue color pallet we used is what brought this room to their attention. Our Palm Beach Ocean View den is included with a list of spectacular blue rooms.